There's a lot of advice on how to be a leader out there, but not all applies to the fitness industry. That's why we spoke to successful club owners and fitness professionals. What does it take to be a true leader in the health and fitness industry? We spoke with some experts to find out. In developing the IHRSA's Lessons in Fitness Leadership series, we interviewed successful club owners and fitness professionals who are members of our Industry Leadership Council. Read on to learn their top leadership tips. Make time to 'walk the talk' and work out every day. Read industry trade journals voraciously to understand trends. Attend IHRSA conferences every year without fail. Network with a vengeance with everyone in the industry. Scott Gillespie of Saco Sport & Fitness in Saco, ME, agrees with Worthington about the importance of gaining a broader perspective. "Never lose the very special connection you have with the market you choose to serve, but get outside of your box!" Gillespie said. "Get and stay connected to the ever-evolving bigger picture through industry associations and groups—like IHRSA and the ILC." For Bryan O'Rourke of Integerus Advisors, a consultancy to the health and fitness industry, the key lies with being a "giver" rather than a "taker." "All great things take time, constant effort, and most importantly, entail us all working together to reach common goals," he said. "Giving to the ILC and being a leader who seeks to do things for others first, builds the foundation for all of us together." As Janine Williams of Leisure Sports in Pleasanton, CA, notes, far too many health clubs aren't built to last. The reason? Operators lack the business and financial acumen to achieve long-term success. "While you need to have a passion for fitness, you also need a solid understanding as to what ultimately drives profitability," she said. "This includes understanding the potential threats and opportunities within your marketplace and whether these threats and opportunities are internal or external by nature." 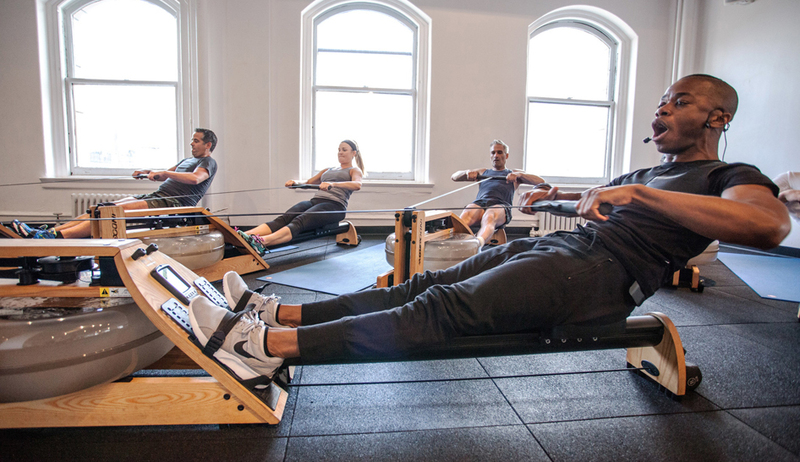 Chuck Richards of the Sunset Athletic Club in Portland, OR, believes the health and fitness industry is about to enter a period of rapid growth. With all the changes coming our way, many health club operators will have trouble deciding what to do next. "Getting perspective is important," Richards said. "Look at the implications. Don't think you necessarily need to go in every direction all of the time. There are so many ways to be successful. There are so many opportunities. Going in too many ways will dilute your best efforts." Allison Flatley, Corporate Fitness Works’ chief strategy officer and IHRSA board member, believes technology, communication, and business tools are having a major impact on how we live our daily lives. However, she said, "The fitness industry has not changed to the same degree. We need to think creatively to help more people embrace movement and activity." Also on board with the notion of thinking creatively: Mike Alpert of The Claremont Club in Claremont, CA. For example, his club has designed programs specifically for people who have cancer or been paralyzed. "Making programming all inclusive has unintentionally proven to be a direct link to member retention," he said. "It was absolutely never about the money to begin with, but this model has proven to be very successful for us." Alpert's advice is a good reminder that whether it's health and fitness or most any other industry, relationships are what matter most. Ginger Collins of the Gold's Gym Franchisee Association backs up this viewpoint. "I believe you just cannot be in this industry unless you care about people, and that translates over to the members of IHRSA," said Collins. "It's common to develop lifelong friendships and foster great mentorships among us."